The Big Game is quickly approaching! Whether you are a fan of the sport or not, you probably look forward to this day every year. Championship Sunday brings families and friends together to enjoy food and drink, an entertaining half-time show, and the occasional wager or two. Even though the most coveted title in football is up for grabs, the only lineup we’re interested in – is at the buffet table. Do you know what you’ll be bringing to the table? 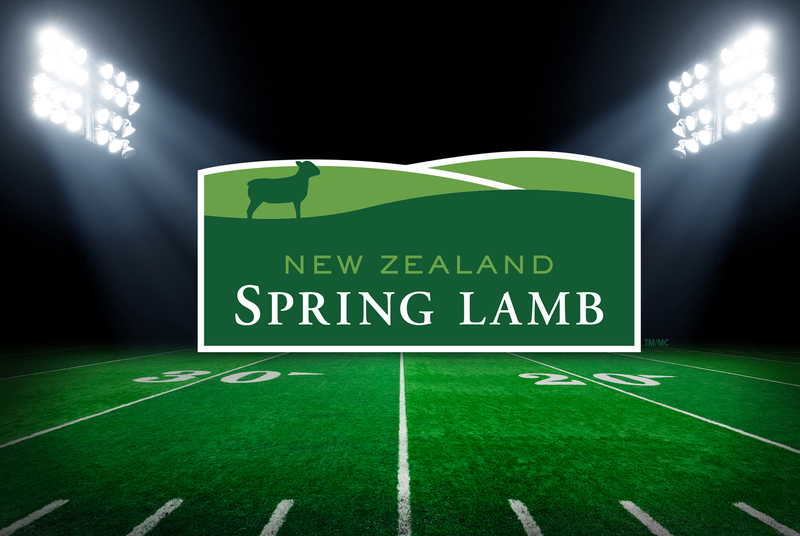 Here are a few of our favorite New Zealand Spring Lamb game-day recipes to help you become the real MVP of your own Big Game party. The aromatics of the roasting lamb among the mint, tarragon, bell peppers, cumin, coriander, and jalapeño will fill your home and will tantalize your guest’s senses from the moment they walk through your front door! 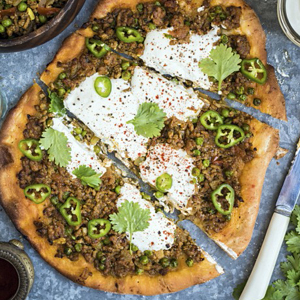 Elevate your pre-game party with this unstoppable pizza. 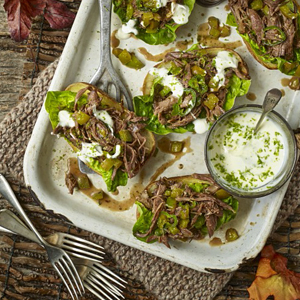 As a naturally lean meat, lamb is a wonderful alternative to fattier proteins and can be used in a variety of dishes and other appetizers. Incredibly succulent, tender, and delicious, a rack of lamb is an impressive addition to any team. 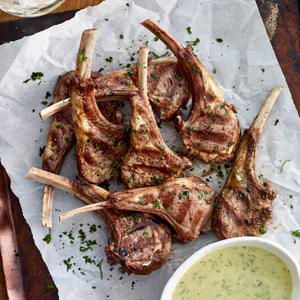 Its short cooking time allows you to spend more time watching the game and your guests will have loads of fun dipping these ‘lollipop’ lamb chops in the turf-green curry sauce!